Mahito Yokota, one of the composers of the original Super Mario Galaxy soundtrack, recently posted all 50 songs from the sequel on his YouTube feed. 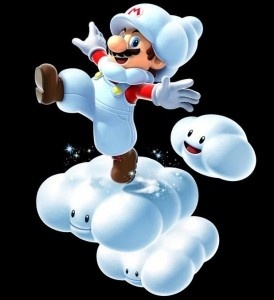 Now, this may not be the actual Mahito Yokota, but if so, this leak was the perfect way to ramp up excitement over Super Mario Galaxy 2. All 50 songs from the soundtrack have been posted, and they are exactly the upbeat, high-tempo music you've come to expect from the Mario franchise. Let's just say, if you were having a case of the Monday blues, these songs will perk you right up. Some of the song titles are relatively forthcoming about what can be expected in the level: Rightside Down Galaxy brings insinuations that this level will be upside-down; and Puzzle Plank Galaxy will likely have a lion's share of puzzles ... and planks. Super Mario Galaxy's soundtrack boasted two composers and an entire symphony - and 2 is no exception. Yokota along with other Super Mario Galaxy composer, Koji Kondo are back in the sequel. Hey - while you're listening to the tunes, perhaps you'd like to check out our Super Mario Galaxy 2 review, and some other features from our very own Mario Party?